Chunky hand knitted super soft merino blend durable sweater. 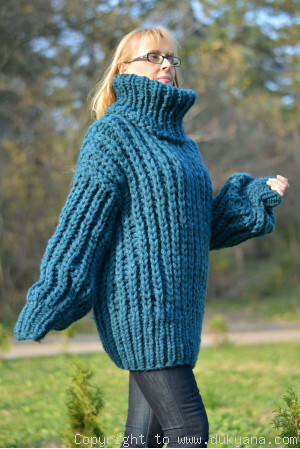 The listing is for the sweater with the below dimensions. Please note that all measurements are taken with the sweaters laid flat and this material,because of its chunkiness,makes the sleeves and the sweater longer when put on.This is the reason you might think the sweaters and their sleeves are too short.